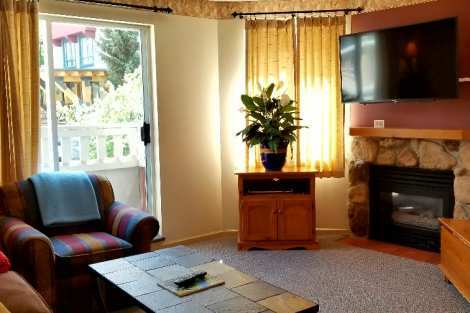 In the heart of Whistler North and a short walk to both mountain gondolas and the Whistler Conference Centre. The Town Plaza Suites - Eagle, Bear and Deer Lodges are a newer addition to Whistler, with excellent restaurants, shops and nightclubs right below. I and my relatives from Quebec had a fantastic stay at the Deer Lodge. The weather was outstanding which was a plus and our accommodation, a two bedroom and two bathrooms suite, met our needs perfectly. The checkin reps were very friendly, professional, and helpful which we appreciated. Parking was a cinch and reasonably priced considering the central location in the village. Deer lodge was in an ok easy to find location. Still a walk (12min) from the slopes with skis and boots is not much fun. But apartment was comfy well kitted out and clean. Staff were helpful and everything was smooth also close to bus drop off which is good too.. Not quite enough dedicated space in appt for ski gear but that may just have been our appt.. Would recommend accommodation and whistler premier to others..